We pride ourselves on our excellent communication, professional work and establishing long-term relationships with clients. For us, business is all about customer relationships. If what you want is the very best Vancouver electrician and feeling valued as a client then call us today. We will take the time with you to discuss your electrical requirements. When it comes to electrical work, our objective is to minimize your stress by providing you with a reliable Vancouver electrician who shows up on time, is well presented, professional and completes your job with care and skill. Through a collaborative attitude, planning and the use of quality systems we take great pride in providing you with the highest level of customer service available. From estimations to implementations our experienced team of Vancouver electricians provides the expertise needed to ensure your electrical project succeeds, and all this within critical time schedules and budgets. We can assist with any type of residential or commercial renovation, whether you are building an extension to your home, renovating your basement, kitchen or bathroom, installing pot lights in your condo or upgrading the lighting in your business. I have had the pleasure of working with Octavio on various custom home projects over the last few years. Whenever we require an electrician our first call and recommendation to others is always Wirechief Electric. Octavio has always been extremely reliable, detailed oriented, and does great work. Covering all your local area to service your needs. We service Vancouver, North Vancouver, West Vancouver, Burnaby, New Westminster, Coquitlam, Port Moody, Richmond & all surrounding areas. WireChief Electric proudly operates with the values of honesty, punctuality, mutual respect and cleanliness. We’re not just an expert Vancouver electrician. We are trusted consultants that can give you expert advice on all the electrical requirements for your home. At WireChief Electric we offer electrical solutions that improve your home & suit your lifestyle. Lifetime Warranty. We provide quality service, and any defects in workmanship are remedied under this warranty. All our electricians in Vancouver follow the WireChief’s through 12- steps cleaning process. We will only do the work that is needed and we’ll do it in a timely and cost-effective manner. We will communicate understandably with you to explain what we are doing and why it needs to be done. We will tell you beforehand what the costs will be. We will be there when we say we’ll be there. If something unanticipated happens, and we can’t be there on time, we’ll call you right away. We guarantee our work. If you are not happy,we’ll work with you to ensure that everything is completed to your satisfaction. WireChief Electric Ltd. is a family owned, licensed, insured and bonded electrical contractor company serving Vancouver & the Lower Mainland. No matter how large or small the job is, we will respond to our customers’ needs. No job is too big or small that it doesn’t get our full attention and commitment. We are committed to creating long-term relationships with our clients by providing uncompromising quality on every job. That’s why we strive to finish every project on time, within budget and to your complete satisfaction, and it is that dedication and attention to detail that keeps our clients coming back to us for all their electrical needs. Our mission is to complete every job on time, at the price quoted and to your complete satisfaction. If you’re not satisfied, we’re not glad – simple as that. So when you need a Vancouver electrician you can count on, one who will work around your schedule and perform professional, competitively priced work, count on WireChief Electric. We provide residential & commercial electrical services in Greater Vancouver, BC. 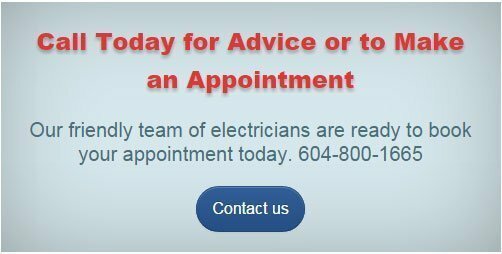 Our friendly team of Vancouver electricians is ready to book your appointment today. Champlain Heights, Renfrew Collingwood, Victoria Fraser View, Grandview Woodland, Commercial Drive, Hastings Sunrise, Killarney, Mount Pleasant East, Sunset, South Hill, South Vancouver, Strathcona, Riley Park, Kensington Cedar Cottage, Knight, Main. Coal Harbour, Downtown East, Downtown West, West End, Yaletown, Gastown, Robson St. Reliable Vancouver Electrician providing quality electrical services. Honest, qualified Electrician in Vancouver BC.